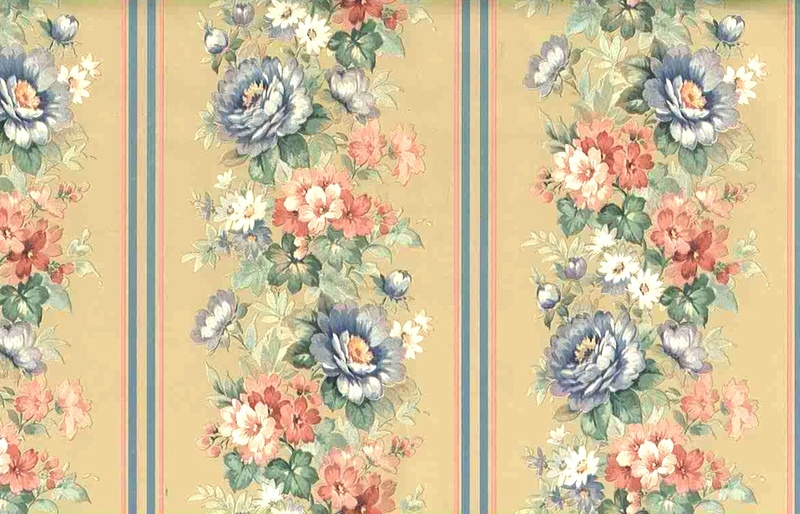 Floral stripe vintage wallpaper with Pink, Blue and White flower and Green leaves on a Beige background. Including roses and daisies. There are narrow Blue and Pink stripes. 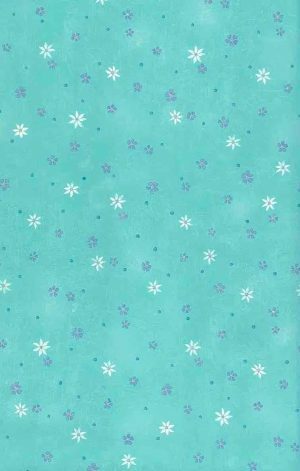 Enhancing the entire pattern is a luminescent pearl finish glaze. The flowers resemble a Dutch still life.